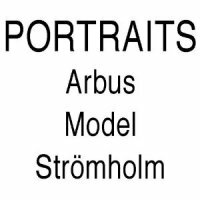 Arbus, Model, Strom-Holm de Diane Arbus, Lisette Model, Christer Stromholm. This catalogue from an exhibition at the Moderna Museet in Stockholm unites three modern photographic masters who worked in black-and-white and found their subjects in the characters of the urban street : Diane Arbus, Lisette Model, and Christer Strömholm. Portraits from the three take precedence here.